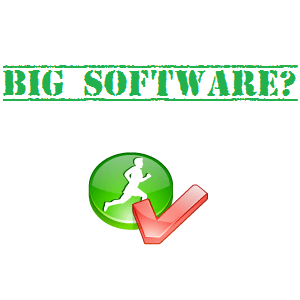 Sometime working with software or applications we need to install and uninstall different software and applications. We used Add or install option in windows in order to uninstall. Sometimes due to a bug in software or in our window we may unable to install software or applications properly, and this may cause serious disturbance for our machine and for our brain too. So if you have installed software on your computer and for any reason it gives you issues, the best thing to do is to uninstall it, and if you are facing problem then I will guide you how to resolve that problem. In this case Windows will help you with a special feature called Safe Mode. Basically, in Safe Mode you will be able to troubleshoot your computer in order to fix issues. However, if you need to uninstall and remove some software, you have to know that this kind of “limited state” Mode has the Windows Installer Service completely disabled. Let’s see how to turn it on and uninstall everything… even in the Safe Mode configuration. Windows Installation Service is responsible for the installation and uninstallation procedure. If you try to access it in Safe Mode you will get the following message: “The Windows Installer Service could not be accessed. This can occur if the Windows Installer is not correctly installed. Contact your Support Personnel for assistance”. In the Search field, type regedit and press Enter. Right-click on the Minimal key and from the menu select New Key. Now name the new key MSIService and change the value to Service by double-clicking it. The newly created MSIService will make available the Windows Installation Service in Safe Mode. However, I want to remind you that it is necessary to turn the new service on. Exit regedit, click Start and in the Search field type: services.msc and press Enter. From the list, locate Windows Installer. Right-click it and select Start. In the search field, type cmd. Do not press Enter. Right click the Command DOS icon and click the Run it as Administrator link. In the command prompt, type net start msiserver.